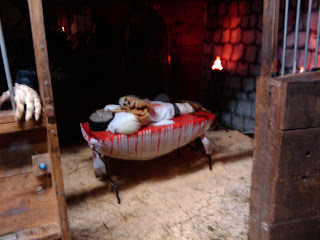 The haunted barn is shaping up, but the forecast for Saturday is rain. Happens every year. That is awesome! Do you have other pics? I'm always so happy to get the pumpkins carved, the kids in costumes, and the candy made. Y'all outdo the rest of us by a country mile. I'll send you the url to ours in email.